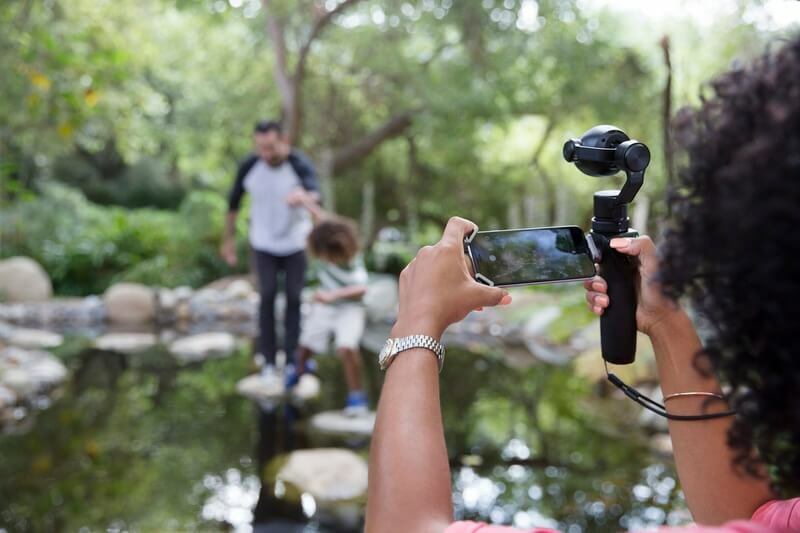 DJI, the world’s leading maker of unmanned aerial vehicles, Thursday launched the Osmo+, which brings an integrated zoom camera to the wildly popular Osmo handheld camera stabilization system. The Osmo+ continues DJI’s tradition of groundbreaking technological innovation to deliver unprecedented stability and image quality for handheld still photography and video creation. The Osmo+ camera has a total of 7x zoom, with 3.5x optical and 2x digital lossless zoom (only available when shooting at 1080p), giving it a focal length ranging from 22mm to 77mm without sacrificing HD quality. It is similar to, but not interchangeable with, the new Zenmuse Z3 zoom camera recently launched for the Inspire 1 drone system. 1. Motion Timelapse - Osmo+ helps you record the passage of time easily. Just mark where you want the camera movement to start and end, and tap ‘Start’ to create moving timelapses without additional specialist equipment. 2. Advanced Stabilization - The Osmo+ builds on the advanced stabilization technology introduced with the Osmo to keep the camera flat no matter how you move it, whether you are live streaming or shooting your first film, and has been optimized for ultimate stability during stills capture. 3. Powerful Camera - Shoot crisp 4K/30fps video and 1080p/100fps for slow motion video, with enhanced sound capture through the included FlexiMic, or capture 12 megapixel stills in Adobe DNG RAW for more editing freedom. 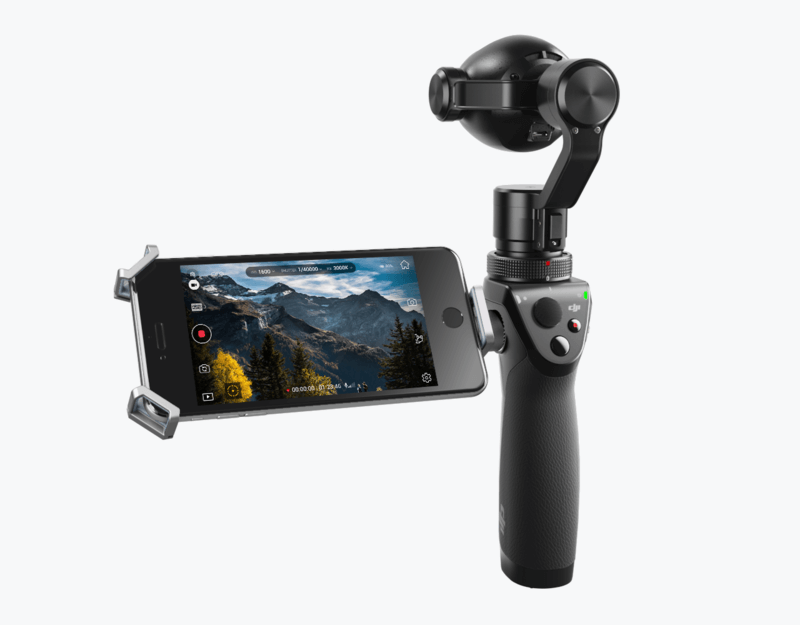 The Osmo+ is compatible with the DJI GO app. Available mounts and extensions include a tripod, bike mount and an extension rod. The Osmo+ (handle + Zenmuse X3 zoom) is priced at US$649 and the price of the Zenmuse X3 zoom camera is US$499. DJI is offering an extended, one-year warranty - OSMO Shield. The OSMO Shield doubles the DJI warranty period to two years after the purchase of a brand new Osmo. Provided under the warranty is unlimited maintenance (conditions apply) and one-time only accidental hardware damage coverage, including water damage. OSMO Shield is now available in mainland China and North America.